One of the most rewarding aspects of Green Global Travel‘s first year has been the opportunity we’ve had to interview some of the people who’ve influenced us in our personal and professional lives. 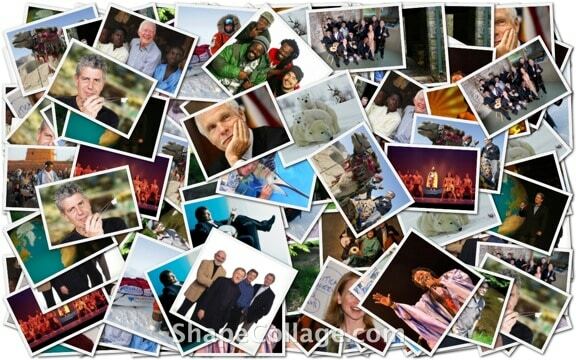 From political leaders such as former U.S. President Jimmy Carter and former Vice President Al Gore, to environmental advocates like Jane Goodall and Ted Turner, to documentary directors Josh Fox (Gasland) and Sebastian Copeland (Into The Cold), to world music legends such as The Chieftains and Zakir Hussain, each of these subjects has inspired us in some way, and we consider ourselves extremely fortunate to have spent time with them. For our fans new and old, we thought it would be awesome to have all these links in one place, celebrating a year of memorable conversations with some of the coolest people on the planet. Hope you enjoy our celebrity interviews, and let us know if there’s someone you think we should talk to in our second year!